A memorial service for Cerner co-founder, CEO, and chairman Neal Patterson will be conducted at 11:00 a.m. Central time Thursday at United Methodist Church of the Resurrection in Leawood, KS. The service will also be live-streamed. 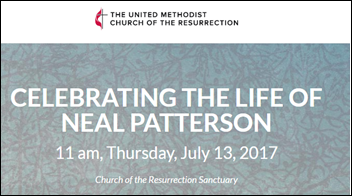 Patterson’s extensive and well-written obituary was published in the Kansas City Star and on Cerner’s site. From Park City: “Re: Rick Adam. Seems to have left Stanson Health and is now CEO of some Intermountain spinoff called Empiric.” Rick’s LinkedIn profile shows the new job, but it also continues to list his position as president/COO of Stanson and he remains on Stanson’s executive page. The website of Empiric Health says its program is based on Intermountain’s ProComp program. 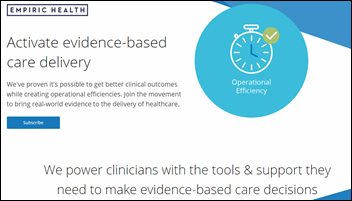 It appears to offer evidence-based, analytics-powered process improvement. Empiric was formed in February 2017 by Intermountain and venture capital firm Oxeon, with Loma Linda University Health as its first customer. From The Care Rationer: “Re: EviCore. Being bought by UnitedHealth Group.” Unverified, but not surprising if true. The South Carolina-based specialty benefits manager, which focuses on evidence-based cost reduction, was rumored earlier this year to be seeking a sale or IPO, valuing itself in the $4 billion range. 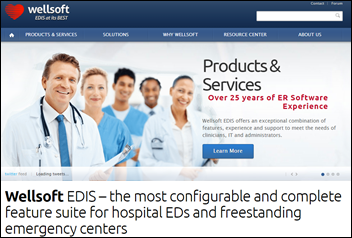 The company was formed via the December 2014 merger of CareCore and MedSolutions. From MerryMe: “Re: IQPC. They reach out to us (as a vendor) about attending their CIO Healthcare Exchange in October in Dallas, dropping a lot of big-hospital names. Is this a viable CIO/CMIO event that would be worth investing in as a sponsor?” I’ll invite readers to comment since I’ve never heard of the event. It’s one of those where the attendees (who I assume get free attendance in the “ladies drink free” model that I’ve experienced) are forced to schedule time with vendors who have paid for captive access to them. Of the 10 listed speakers, four are health system CIOs. The conference is run by IQPC, which claims to offer 2,000 events each year, of which a few are related to healthcare. Sponsors can buy whatever level of influence they can afford – a keynote panel moderator slot, a plenary session speaking session (“the grandest speaking platform at the event”), a half-group session that “is positioned to present the sponsor as a master in the topic,” or the usual giveaways such as meals, WiFi, or hotel key cards. I incorrectly reported a promotion at Agnesian HealthCare (WI) on Monday. Nancy Birschbach is still VP/CIO – the promotion involved the CFO position, not the CIO role. I’m getting increasingly frustrated by Spotify, of which I’m a premium subscriber. Every time I click the desktop icon, it launches a clunky web page that runs a software update. It used to just do the update automatically upon launching. That’s a minor problem compared to users and web publishers who host their images on the formerly free Photobucket, which in a desperate bid for revenue after adblockers killed its already shaky ad-supported model, decided without warning to start charging users who display their photos on other sites (which is nearly all of them) $400 per year. That action suddenly left broken images all over sites like Amazon, Ebay, Etsy, and blogs as users accuse the company of a ransomware-like tactic in replacing their long-functioning images with a threatening warning graphic and with no easy resolution other than to ante up. I’m curious about the legal standing of such changed terms of service, although I suspect we’ll find out soon enough via a likely class action lawsuit, which better happen quickly to beat the inevitable demise of Photobucket, which was already circling the bowl even before this monumentally stupid management decision. Listening: The Alan Parsons Project, which I never liked much, but the local low-powered FM station got my attention by playing “Old and Wise,” which I tracked down with Shazam. I was sure it was the Zombies since the singer sounded like Colin Blunstone (who I saw live in a fantastic Zombies concert a few years ago), and sure enough, he did the singing for TAPP on that 1982 album. Maybe I just like Colin. 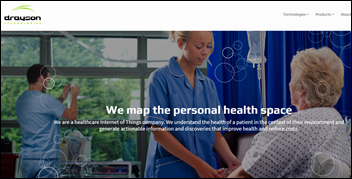 In England, healthcare Internet of Things startup Drayson Technologies increases its total funding to $46 million and announces a deal to commercialize technology developed by Oxford University Hospitals NHS Foundation Trust. The company was started in 2015 by former science minister, entrepreneur, and race car driver Paul Drayson. Healthcare payment analytics vendor Cotiviti will acquire Louisville, KY-based provider performance analytics vendor RowdMap for $70 million. 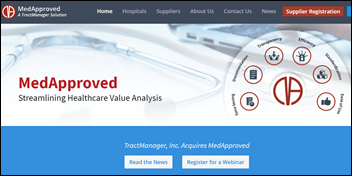 Healthcare sourcing and contract systems vendor TractManager acquires MedApproved, which offers a hospital new product approval workflow system. The CEO of TractManager – which offers products under the MediTract and MD Buyline names — is former Cerner, TriZetto, and Nuance executive Trace Devanny, who took the job in October 2016. Hospital pharmacy technology vendor Inmar acquires the MedEx pharmacy logistics product line from Aethon, best known for its TUG delivery robot. CellTrak Technologies, which offers a homecare care delivery portal, raises $11 million, increasing its total to $23 million. Published rumors of Amazon’s quiet rollout of a Geek Squad-like home installation and service knocked a billion dollars off the market cap of Best Buy this week. 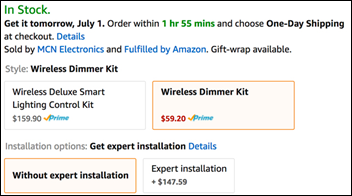 Meanwhile, a study finds that Amazon gets 37 percent of the money consumers spend online, with its Prime subscription and fast delivery setting a bar few other online retailers can meet. I can identify – I always worry that my trash day recycling activities will trigger a concerned neighbor’s “gunshots fired” police visit while I’m deconstructing mountains of Amazon shipping boxes and loudly popping endless strings of the accompanying packing air pillows. 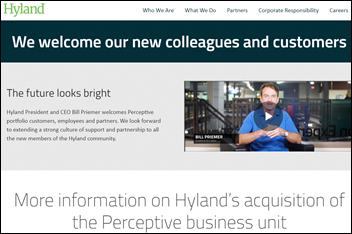 Lexmark’s Perceptive Software product line is folded into Hyland Software’s product portfolio following completion of a previously announced Thoma Bravo buyout of Lexmark’s enterprise software business. 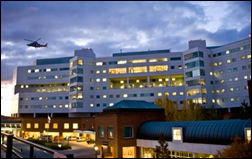 University of Virginia Medical Center (VA) extends its contract for LogicStream Health’s clinical process improvement solutions. 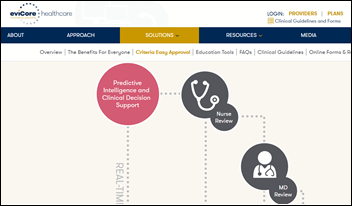 Three Florida ACOs — Central Florida AVO, Next ACO of Nature Coast, and Space Coast ACO – choose the population health management solution of EClinicalWorks. The Nebraska Health Information Initiative and the state’s HHS choose DrFirst to capture prescribing information and deliver it to the state’s prescription drug monitoring program database, the first state to require (as of January 1, 2018) the tracking of all prescriptions dispensed (not just opioids) to give pharmacists and physicians a complete medication record for detecting drug-drug interactions and therapy duplication. Houston Methodist Coordinated Care (TX) chooses PatientPing to give providers real-time notifications when their patients receive care elsewhere. Stanley Crane (Allscripts) joins prescription price comparison and patient adherence technology vendor InteliSys Health as CTO. Imprivata hires Mark Nesline (Lionbridge) as SVP of engineering. Jean-Claude Saghbini (Cardinal Health) joins Wolters Kluwer Health as VP/CTO. Communication, care coordination, and patient education technology vendor CipherHealth hires Lisa Romano, RN, MSN (CareExperience) as chief nursing officer and promotes Barbara Davis, MA to SVP of client success. Training and HR software vendor HealthStream hires Jeff Cunningham (Informatics Corporation of America) as SVP/CTP and promotes Jeff Doster to SVP/CIO and Scott Fenstermacher to VP/head of sales. Bonny Roberts (Aventura) joins Diameter Health as VP of customer experience. 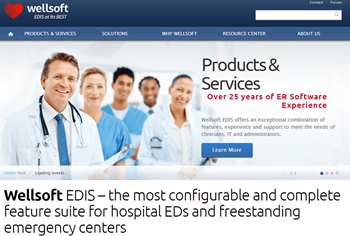 In Canada, Grand River Hospital goes live on Wellsoft’s emergency department information system. 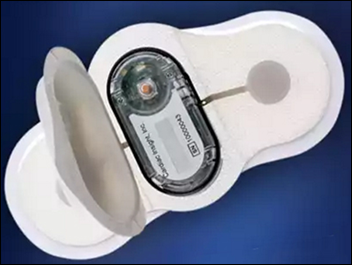 Cardiac Insight releases its Cardea Solo ECG monitoring system that is FDA-approved for monitoring atrial fibrillation following ablation procedures, noting that unlike competitors, it does not require use of a third-party monitoring service and instead sends data directly to the physician. Nuance updates suggest that the company has still not fully recovered from its malware attack of June 27. A 14-day outage seems problematic for a company that offers critical cloud-based services globally. A review finds that while patient-created recordings of their encounters (often made covertly) offer clinical benefit to themselves and malpractice protection for their providers, state wiretapping laws are inconsistent as to which of the two parties must consent. 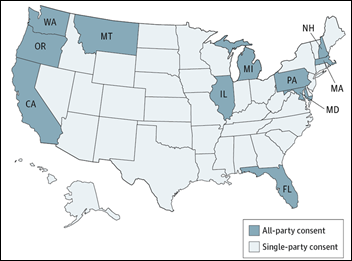 The patient can record their encounter without provider consent in 39 of 50 states plus DC (the light-colored states above are the “single-party consent” states). The authors also note that patient-created recordings are not subject to HIPAA and that patients are free to share those recordings with anyone without permission. While patients are legally allowed to make such recordings in single-party consent states, the physician also has the right to terminate the visit if they don’t want to be recorded. The article did not address the recording of telemedicine visits in which the patient and provider might live in different states. This might be the jump-the-shark moment for startups. 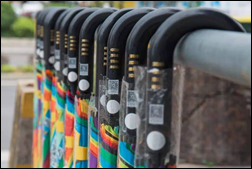 A China-based company whose app allows renting umbrellas from its code-locked public stands (it’s one of an alarming 15 such companies in China) has almost all of its 300,000 umbrellas stolen by renters who didn’t bother to return them (their deposit covered only one-third of the umbrella’s cost and locations to return them are scattered). Unlike two bicycle-sharing startups in China that recently folded when customers stole all of their rolling stock, the company says it will order another 30 million umbrellas and keep trying. Datica posts a podcast in which CEO Travis Good, MD interviews Sanjeev Arora, MD about improving rural access to care using telehealth. I wonder what is going on at Stanson Health. Anne Wellington, their head of product and implementation, left abruptly a couple months ago. We have for the most part had a good experience with them over the past year, but it is concerning to hear about these departures. No one on their client services team seems to know what’s going on either. Interesting, looks like their website got quickly updated since this was published to remove Rick Adam and instead list Scott Weingarten as interim CEO.